Antiscalants prevent precipitation of crystallized mineral salts that form scales inside boilers. In boilers, scaling is caused by impurities being precipitated out of the water directly on heat transfer surfaces or by suspended matter in water settling out on the metal and becoming hard and adherent. Scale deposition reduces system efficiency and makes the boiler unsafe to operate as well as causes tube failures, restrict circulation, overheating, reduce system efficiency, and compromise boiler system's reliability. 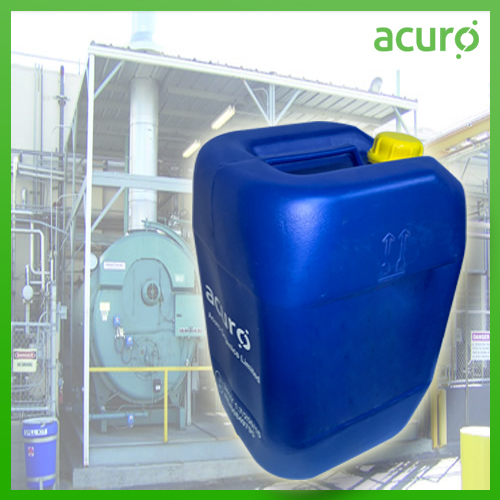 Acuro Organics Limited offers boiler antiscalants formulated on advanced chemistries ensuring best safety and quality standards.